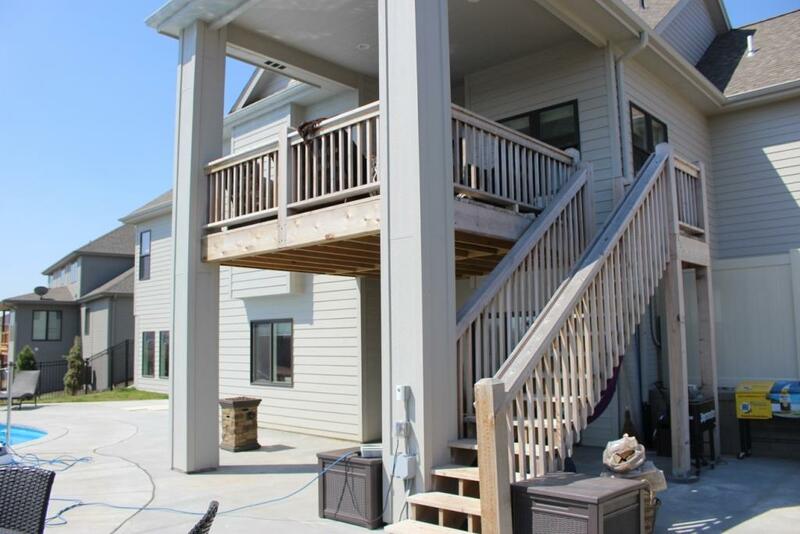 The decks below have been reconditioned, stained or refinished. 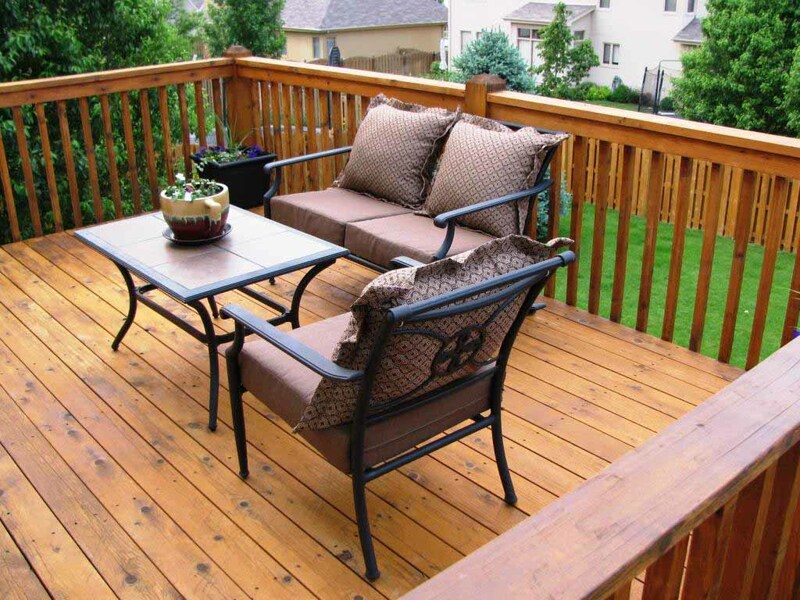 We offer all types of staining. 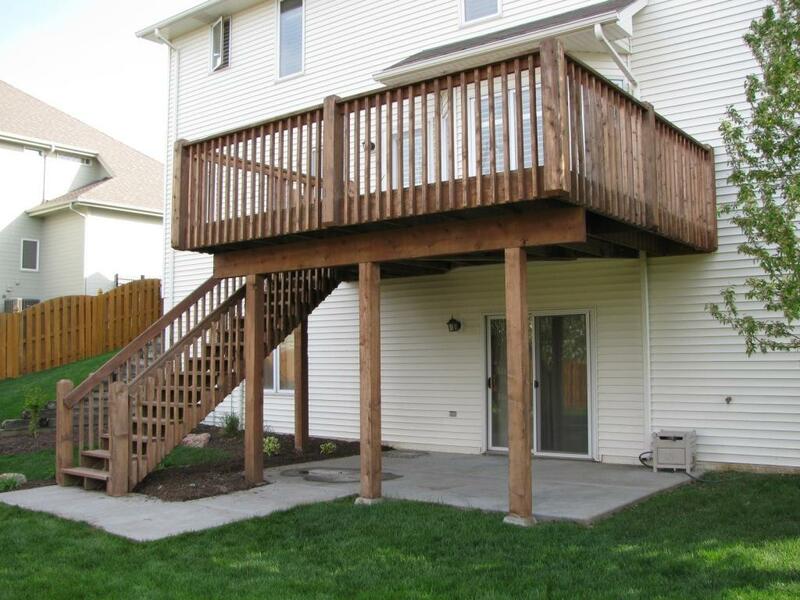 We can repair, rebuild or maintain your deck. 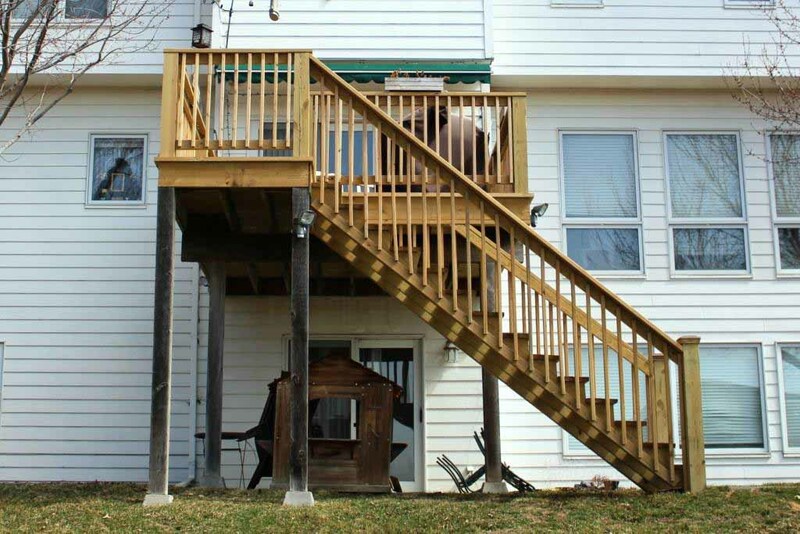 The 3rd deck was rotting away and had to be repaired prior to selling the home. 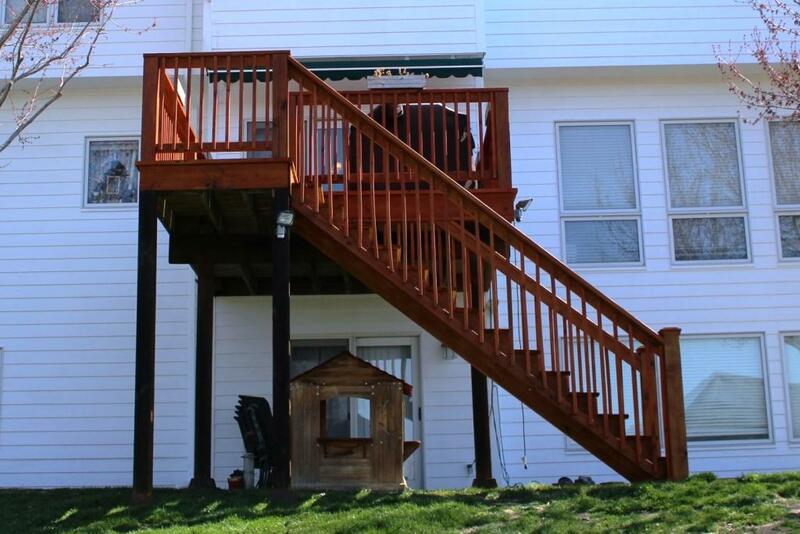 We completely rebuilt all of the deck except for the posts. 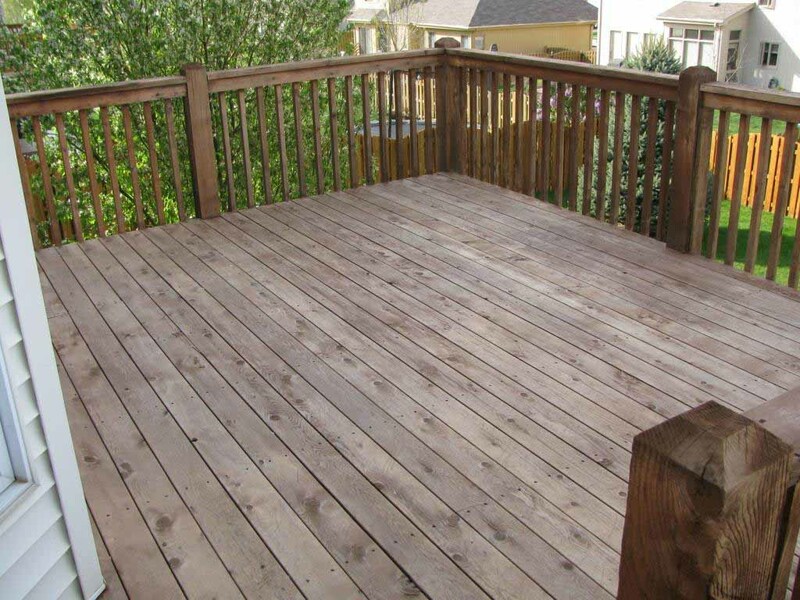 After drying out for 12 months, it was stained in an oil Redwood color stain. 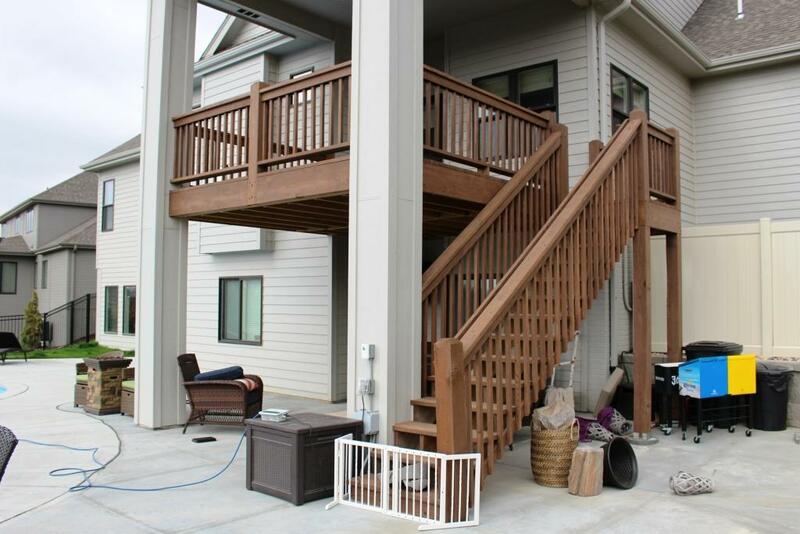 As you can see, we not only stain decks, we repair and can completely rebuild your deck. 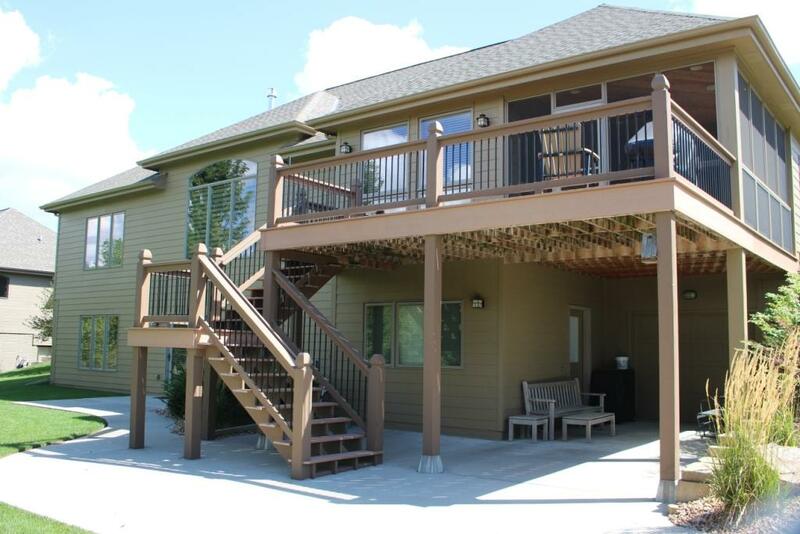 Whether you are looking to make it new again, or would like a design that will transform your deck into the envy of the neighborhood, we have a solution that is right for you! 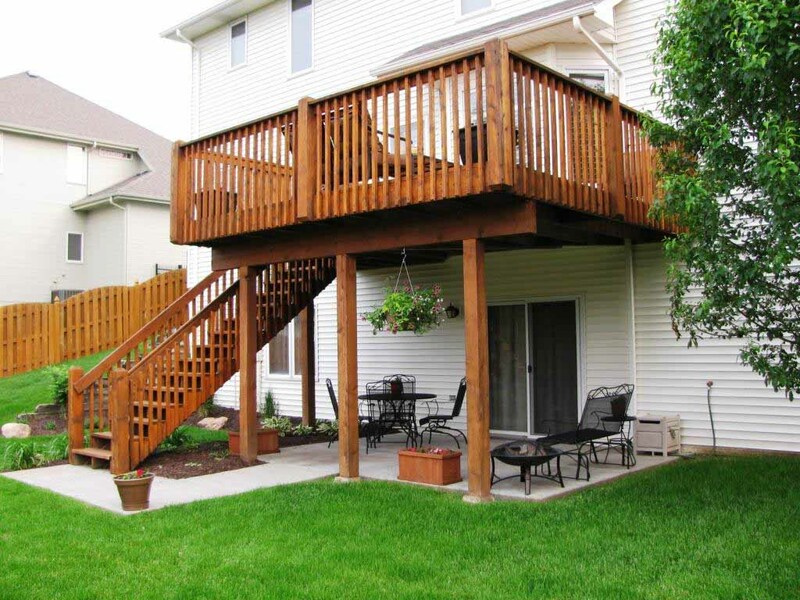 Call Scott's Painting & Staining Inc. today for a free deck consultation and estimate. 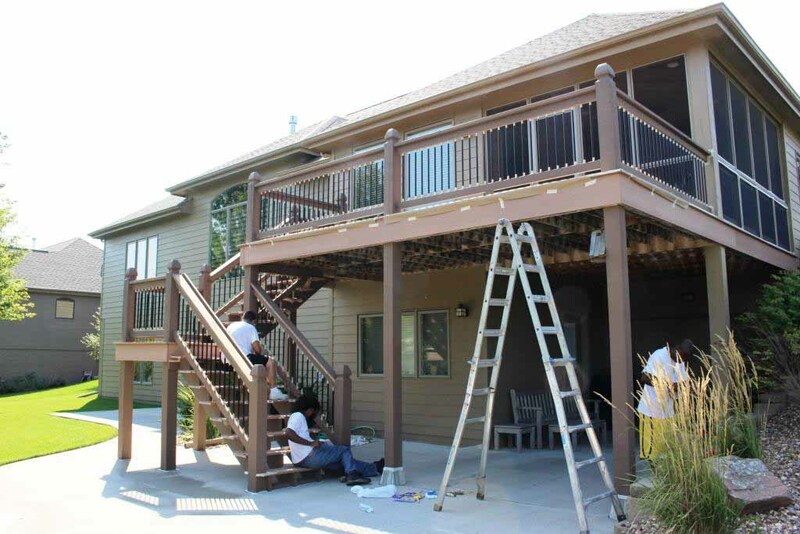 Visit our Deck Staining Services page for a complete list of Deck Services. Omaha, Millard, Elkhorn, La Vista, Papillion, Chalco, Bellevue, Gretna and Bennington. We're working all over the "Big O" to make Omaha beautiful. Chances are we're in your neighborhood or will be soon! Copyright © 2019 Scott's Painting & Staining Inc. All Rights Reserved.